Texas Attorney General Ken Paxton may yet face criminal charges for peddling shady investments to his former clients, and his friends in high places may not be able to save him. On March 6, 2015, I sent a letter to Collin County grand jurors explaining that they can investigate and indict Paxton on their own initiative, regardless of whether District Attorney Greg Willis recuses his office from the case. Judging from the initial feedback that I have received, I believe the grand jury will give the matter fair consideration during its meeting tomorrow. 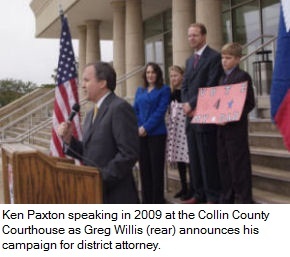 Willis’s campaign website still features pictures of him alongside Paxton, and although their longtime friendship does not legally disqualify Willis from the case, Willis’s silence is creating an appearance of impropriety. The Travis County District Attorney’s Office publicly acknowledged its investigation of Paxton last year before deciding on January 29, 2015 that Travis County was the wrong venue, and most of the relevant facts are already matters of public record, thus there is no reason for Willis to be secretive about whether he is investigating Paxton. One might conclude that he is keeping quiet until the limitations period lapses. Unlike the bogus charges against former Governor Rick Perry, the case against Paxton has legs. 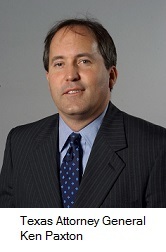 On May 2, 2014, Paxton signed an agreed order with Texas Securities Commissioner John Morgan admitting that he referred clients to his friend’s investment company even though he was not a registered securities representative (he also failed to disclose that he was getting a 30 percent kickback on investment management fees). As I wrote in my letter to the grand jury, I am surprised that his attorney let him sign that document because, in my legal opinion, Paxton’s signatures on the order and the attached affidavit are an admission that he committed a third-degree felony. Paxton’s spokesmen have repeatedly claimed that his violation of the statute was an honest mistake, but that explanation does not hold water. While he was in the Texas House of Representatives in 2003, Paxton voted in favor of the statute that outlawed his conduct. In 2011, while he was a member of the Texas Senate, Paxton voted to amend that statute by clarifying that violations are a third-degree felony. Worse, Paxton previously violated the same statute in 2004 and 2005, and in 2009 he was sued for violating that statute, yet he violated it again in 2012. That doesn’t sound like an honest mistake. As an attorney and an erstwhile deputy sheriff, I like to think that I would never voluntarily participate in a criminal investigation of one my own friends. Bias is an often subtle thing, and although you may convince yourself that you will be fair and even-handed, there will always be a part of your subconscious telling you that your friend is really not a bad guy and he has suffered enough already. That is why Willis needs to recuse himself – and his office – from the Paxton case. HOW DID THE TEXAS GOP LET THIS HAPPEN? In the interest of full disclosure, I voted for Barry Smitherman in the Republican primary and Dan Branch in the Republican run-off for attorney general, although I had (and have) no personal connections to any of the candidates. That said, it baffles me that Paxton has gotten as far as he has. After the news of his shady dealings broke last year, the police association in his hometown of McKinney withdrew its endorsement, as did the police association in neighboring Allen. The vast majority of GOP sheriffs and district attorneys who endorsed an AG candidate endorsed Branch over Paxton, as did all of the state’s major law enforcement organizations and all of the state’s editorial pages. Yet we nominated Paxton anyway. Why? 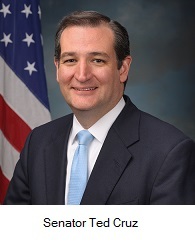 Largely because of the perception that Senator Ted Cruz had endorsed him. I’ve heard some argue that Cruz didn’t actually endorse Paxton, but Paxton certainly portrayed it as an endorsement, and Cruz did nothing to counter that portrayal, even after Paxton’s law-breaking became public. A closely related factor was the campaign pitch that Paxton was the right choice for evangelical Christians, a not-so-subtle hint that he was the real Christian in the race. Paxton was not the only GOP candidate to play that card and win, but it was repulsive across the board. It all reminded me of something that my dad told me many years ago: never trust a man who tells you what a good Christian he is. And while I make no apologies for being Christian and evangelical (and maybe too conservative a Christian, according to some of my critics), few things offend me more than the “vote for me because I’m a Christian” campaign. Maybe that’s because there is nothing Christian about it (see, e.g., Matthew 6:1-6). If Republicans want to remain in the majority, we had better learn to nominate candidates based on their qualifications, and not because Pastor Grabdollar said “He’s one of us” or because the candidate is photogenic and his last name is “Bush”. If evangelicals are willing to look the other way when Paxton commits a felony, that is really no different from the feminists who circled the wagons around Bill Clinton after he was accused of sexually harassing and/or sexually assaulting Juanita Broaddrick, Kathleen Willey, Paula Jones, et al. Ken Paxton may be a good friend, a great father, and a religiously devout man, but I’ve lived long enough to see good people do bad things. Certainly God can forgive him, but that doesn’t mean he needs to be the state’s chief law enforcement official. Notwithstanding the overwhelming evidence that Paxton committed a felony, or the fact that the Travis County DA had opened a criminal case, the State Bar of Texas refused even to investigate the matter. I wish I could say that this surprised me. The SBOT has a long history of protecting politically-connected lawyers. Although it claims to treat all lawyers equally, some lawyers are obviously more equal than others. If an attorney is a current or former elected official, bar officer, bar director, or grievance committee member, he or she will usually get a pass. I first became aware of this in 1998, when Ross Margraves, the attorney who formerly chaired the Texas A&M University Board of Regents, was allowed to keep his law license despite being convicted of a felony. Whereas a peon like me would have been disbarred automatically, Margraves was permitted to keep serving as an officer of the court, even though he could not legally vote or carry a firearm because of his status as a felon. If you’ve read BoogerCountyMafia.com, you know that in 2010, while the FBI was serving federal grand jury subpoenas related to attorney Bryan F. “Rusty” Russ, Jr.’s involvement in a seven-figure real estate fraud, the state bar refused to investigate. Mr. Russ had served for 16 years on one of the state bar’s grievance committees, i.e., the committees charged with investigating attorney misconduct, and apparently that was enough to get a free pass. * I could give plenty more examples, but I think you get the picture. 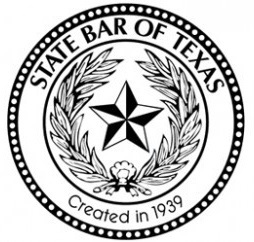 Last October, Dallas lawyer Marc Stanley made headlines by asking the Texas Supreme Court to reign in the lawlessness and hypocrisy at the SBOT, but thus far the Supreme Court has done nothing. Our legislators generally don’t show much enthusiasm for cleaning up the SBOT, either, and maybe that’s because so many legislators are politically-connected lawyers themselves. Another part of the problem – perhaps unwittingly – is Lt. 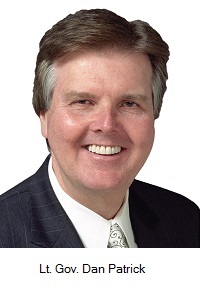 Governor Dan Patrick. In his infinite wisdom, Governor Patrick decided to abolish the Jurisprudence Committee of the Texas Senate. That means the Texas Senate is probably the only state or federal legislative chamber in the United States without a jurisprudence / judiciary committee. I guess he decided that our judges and lawyers are so well behaved that they don’t need any oversight. The committee was poised to take up legislation reforming both the State Commission on Judicial Conduct and the state bar. On January 7, 2015, I had written a letter to several officials, including then-Senate Jurisprudence Committee Chairman Royce West, about how the State Commission on Judicial Conduct had bungled the case against Judge Robert M. Stem of the 82nd District Court of Falls and Robertson Counties. A few days later, I received a call from a committee staff member asking me to help draft legislation to reform both the commission and the state bar. Then the committee was abolished, and that was the end of that. Incidentally, there is one exception to the SBOT’s unwritten rule against prosecuting politically-connected lawyers, and that’s when somebody (usually in the media) makes enough noise so that the case can no longer be ignored. Perhaps it’s time for the editorial pages of this state to turn broadside and open fire on the SBOT for its refusal to investigate Paxton and so many other politically-connected lawyers. Meanwhile, if anybody cares, you can click here to read a few more ideas for cleaning up state and local government. * In 2014 the state bar reopened its investigation of Rusty Russ and his law partner, James H. McCullough, as a result of information uncovered in my own state bar case, and I have good reason to believe that the state bar has since filed charges against Russ and McCullough. There are good and honest attorneys working for the bar, but somebody needs to purge the good old boys who hinder their efforts. Thanks for your insight into this. The media really isn’t showing how he might have had criminal intent, but I think you’ve cleared that up a bit. Baffles my mind really if he just didn’t think he’d get caught or something.